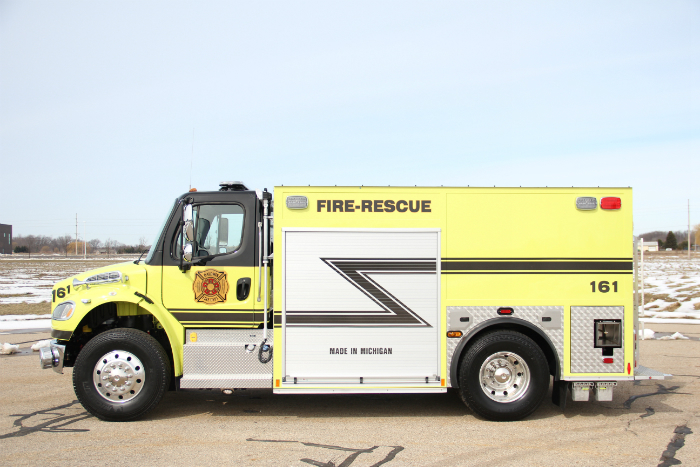 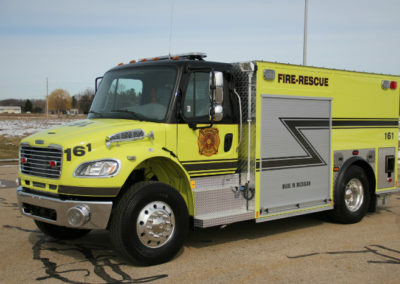 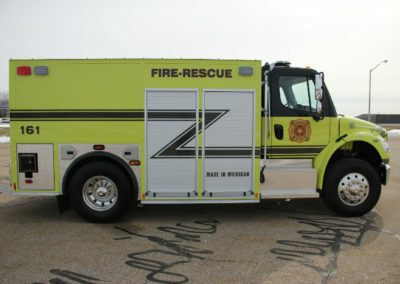 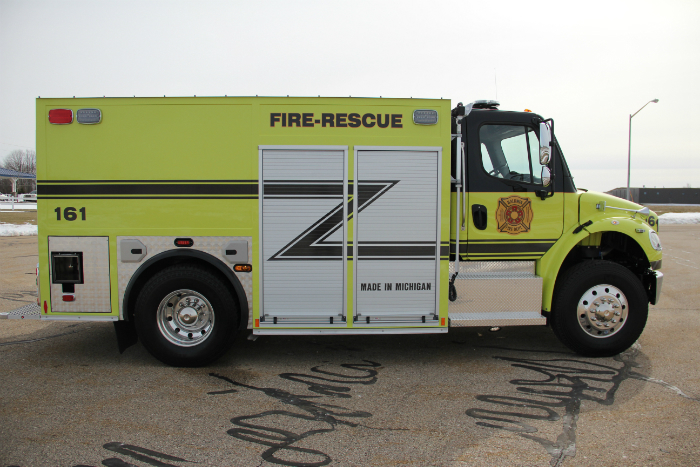 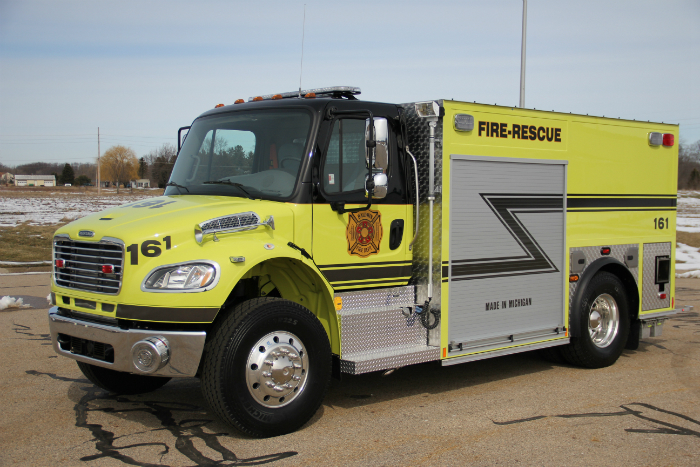 This Spencer Pumper/Tanker has been delivered to Baldwin Fire Department in Baldwin, Michigan. 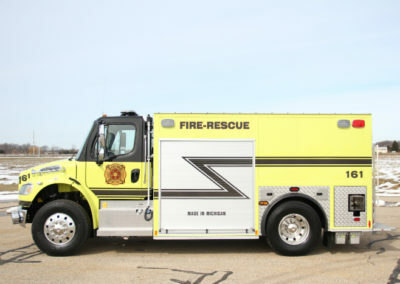 This truck is a Freightliner M2-106 2-door Chassis with a 350 HP Cummins Engine and MD3000 Allison Transmission. 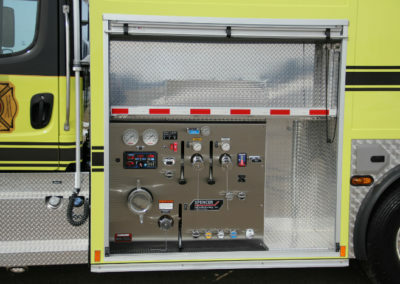 The pump is a Waterous, CXVPA 750 gpm Sideswipe Module and the tank is an APR 2000 Gallon Poly T-Tank. 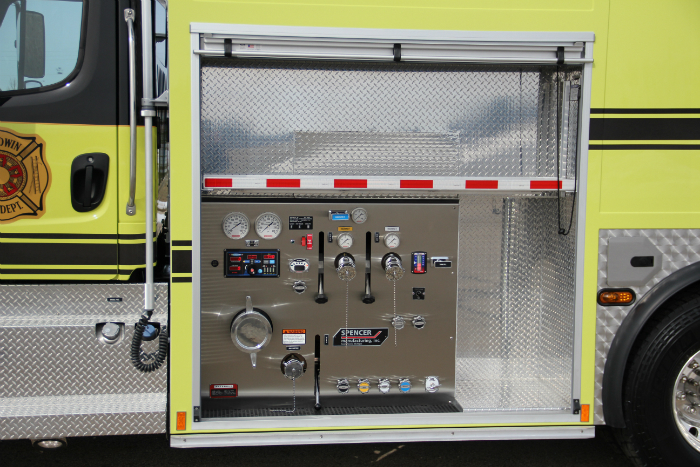 This truck also displays ROM Roll Up Doors, 2 side and 1 rear Electric Newton Dump Valves as well as 2 rear Fireman’s Friend Fill Valves. 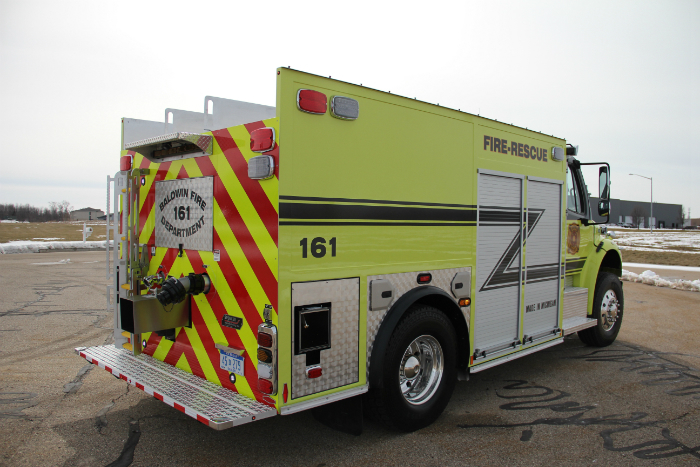 The lights that will assist the Firefighter’s consist of FRC 12-Volt LED Tele-Scoping Lights and Whelen Justice Lightbar, Warning and Scene Lights. 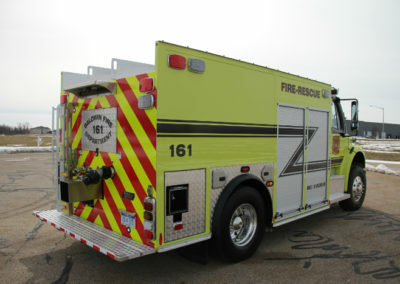 The unique design of this truck allows the suction hose storage and portable tank storage to be in the center of the tank, accessible from a hinged door at the rear of the truck.